Who says cauliflower has to be boring?! 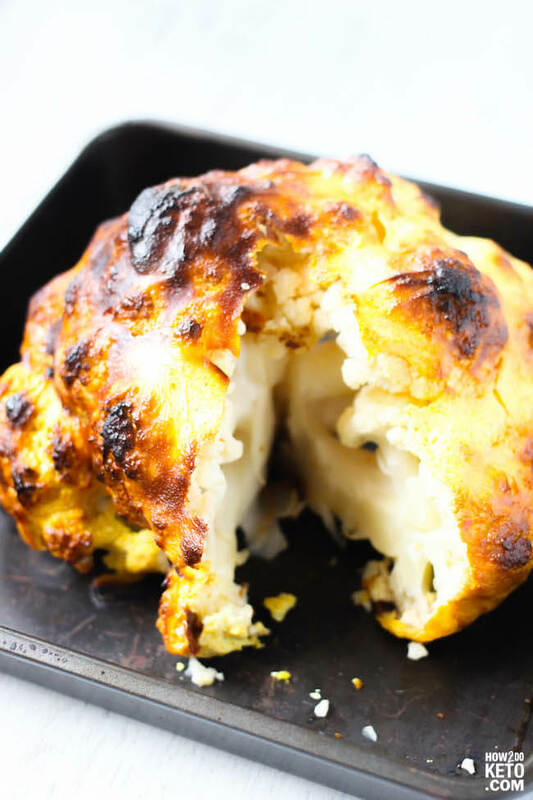 Keto Spicy Roasted Cauliflower is unlike any cauliflower recipe you’ve ever tasted before: tender baked cauliflower with a crispy, tangy coating and just the right amount of spice! 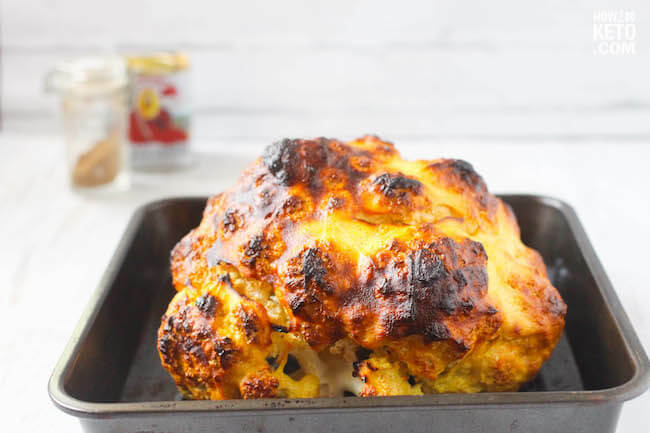 Cauliflower gets kind of a bad rap as being a “boring” vegetable – but there’s nothing boring about this spicy roasted cauliflower recipe! It’s not spicy in the sense that it will burn your tongue off, but rather it is a perfectly balanced blend of spices that are absorbed by the cauliflower. Like I tell my daughters, it’s not “spicy food,” but food that’s full of flavorful spices! 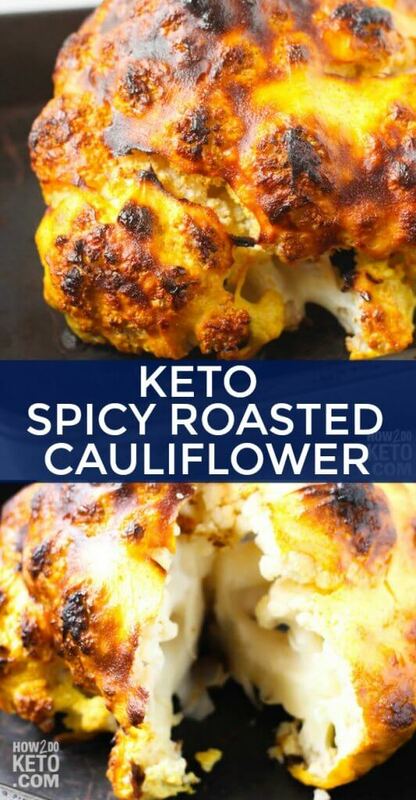 Cauliflower is popular choice for keto and low carb diets because it is fairly low in carbs and also has fiber to balance it out (lower net carbs). When combined with our spicy yogurt mixture, this recipe has tons of protein, and provides quite a few vitamins, minerals, and even calcium! Related: For another fun way to use cauliflower, try our simple cauliflower rice recipe! 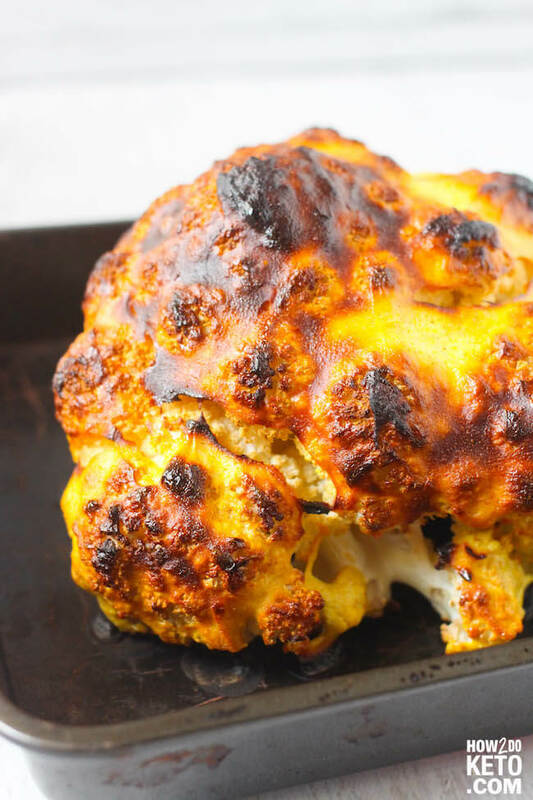 For your convenience in re-creating our Spicy Roasted Cauliflower recipe at home, we’ve included shop-able ad links to some of the products and supplies used. 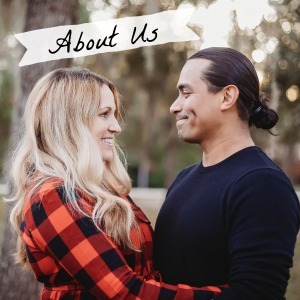 Read our disclosure policy here. The above is a quick glance at the ingredients and tools needed to make Spicy Roasted Cauliflower. Full ingredient amounts are available in the printable recipe at the bottom of the post. To impart even more flavor into your roasted cauliflower, try marinating in the yogurt mixture overnight (in the fridge). Start checking your cauliflower at about 20 minutes (by peeking through the window – don’t open the oven door). Depending on how “done” you like your cauliflower, you may end up roasting for more or less than the 30 minutes we did. Want to add a little more healthy fats? 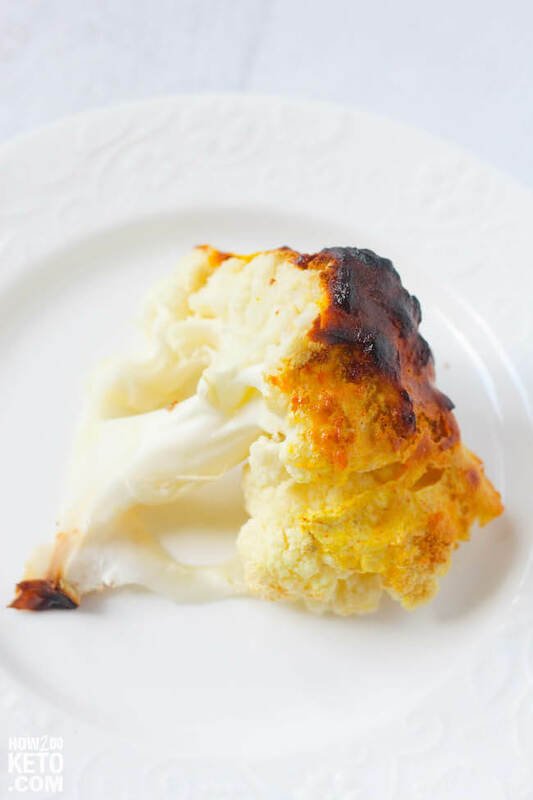 Drizzle your roasted cauliflower with olive oil before serving. You may also enjoy a squeeze of lemon juice. Related: Click here to see all of our favorite keto side dishes! Who says cauliflower has to be boring?! 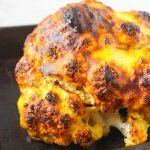 Keto Spicy Roasted Cauliflower is unlike any cauliflower recipe you've ever tasted before: tender baked cauliflower with a crispy, tangy coating and just the right amount of spice! 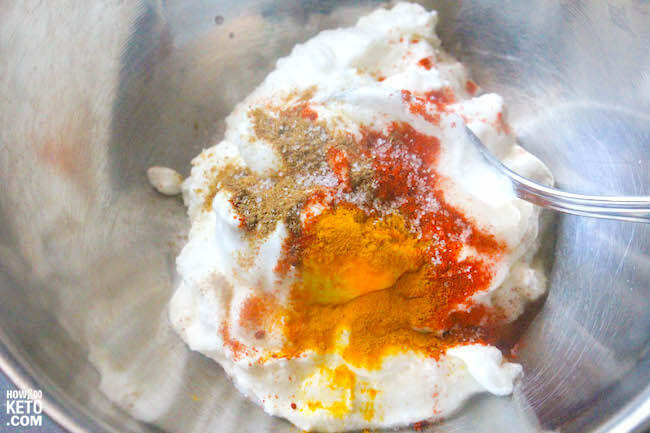 In a small bowl, whisk together yogurt and spices. Place the cauliflower in a baking dish with an edge. 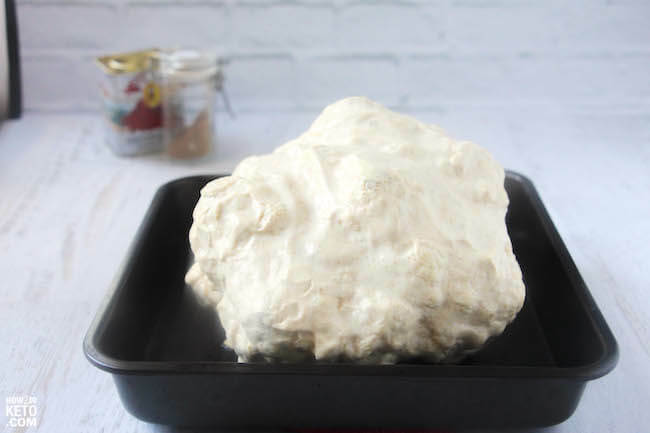 Spoon the yogurt and spice mixture all over the head of cauliflower and spread until the entire surface is covered. Bake about 30 minutes, or until the cauliflower surface begins to turn a golden brown.